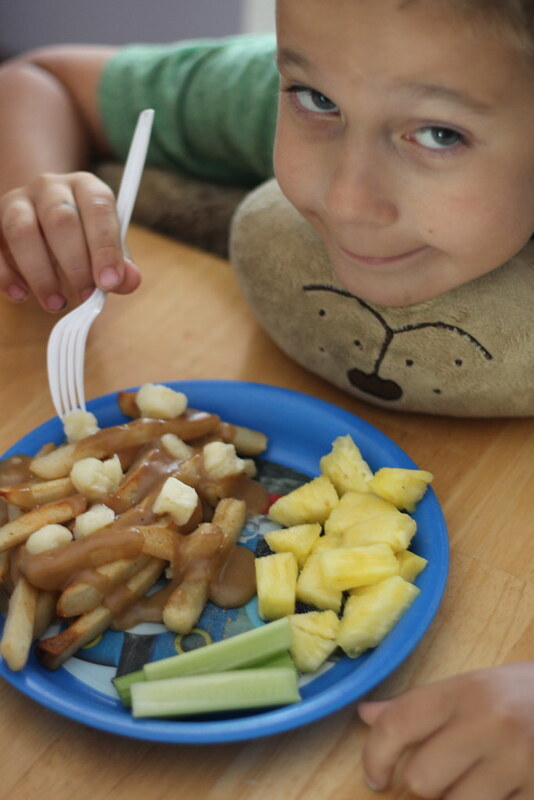 When we were in Long Beach recently, I was super impressed with Luke being willing to try poutine for the first time. 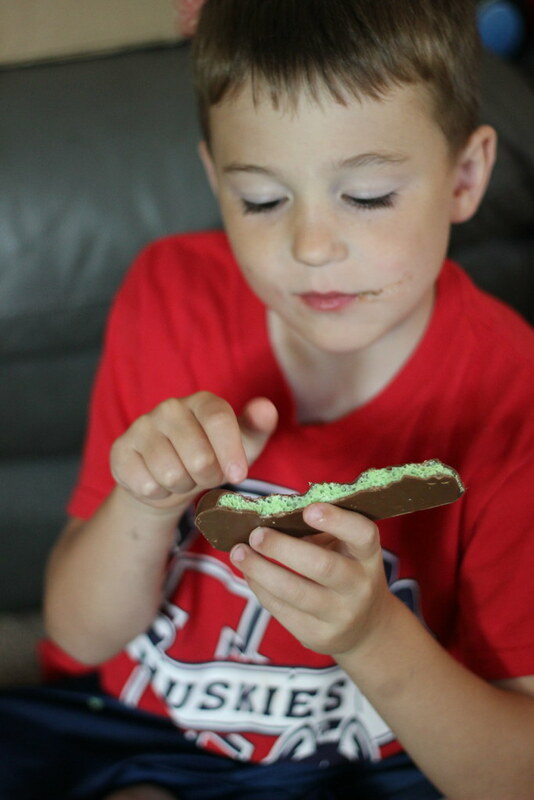 As we sat there eating our lunch and the kids chatted about the toys inside their Kinder surprise eggs, I started wondering about other Canadian foods and traditions. 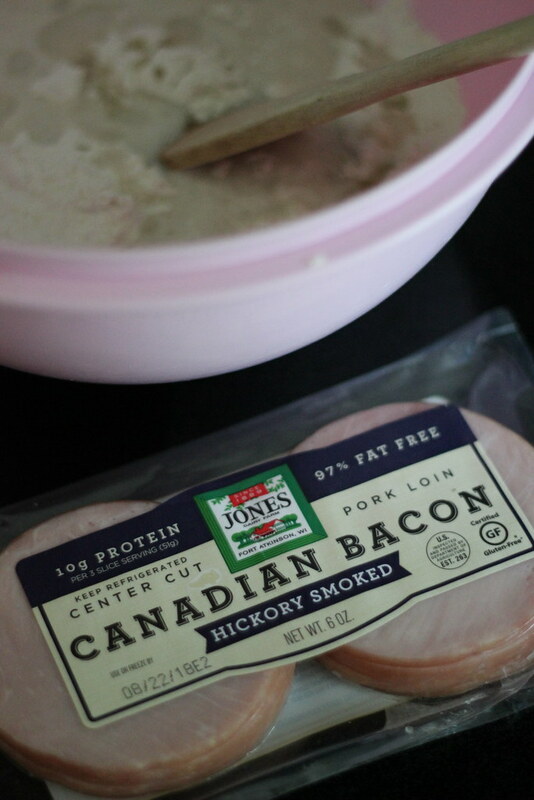 I said sort of offhandedly, "we should have a day where we only eat Canadian foods just for fun!" Which activated my sleeping teacher side, and I thought it would be fun to plan some country themed activity days for our summer break. 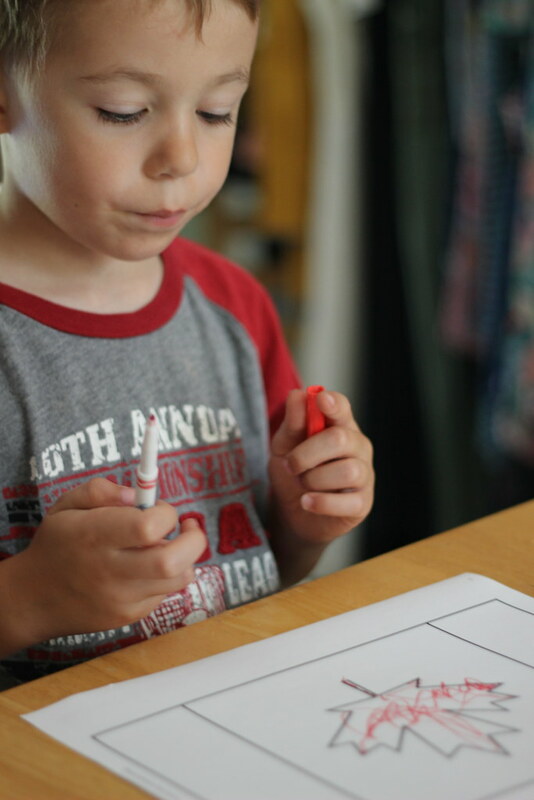 It's been one of my goals for the summer - to plan some organized fun at home - so I ran with it. It kept it as simple as I could, though - not wanting to give myself too much work to put it all together. 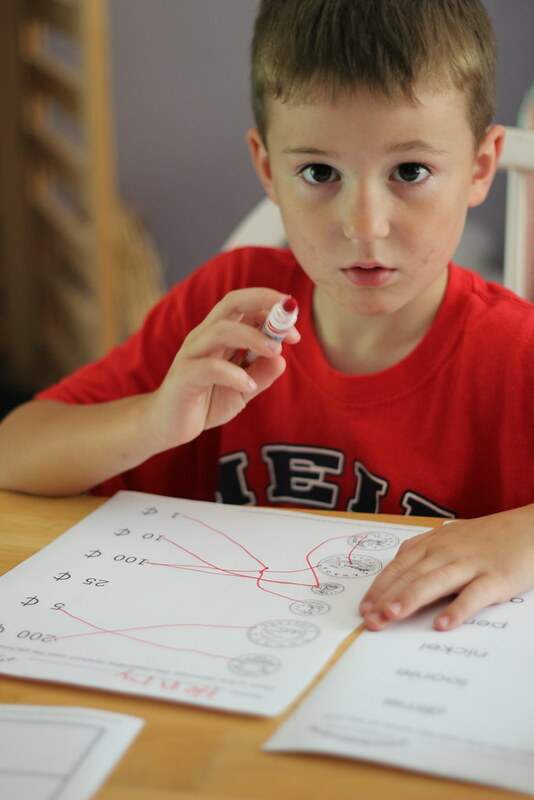 I Pinterested some worksheets, grabbed a few books from the library, and planned a few treats from the store. I was surprised at how excited the boys were for this day! But as you'll see in a second....it was mostly food, haha. 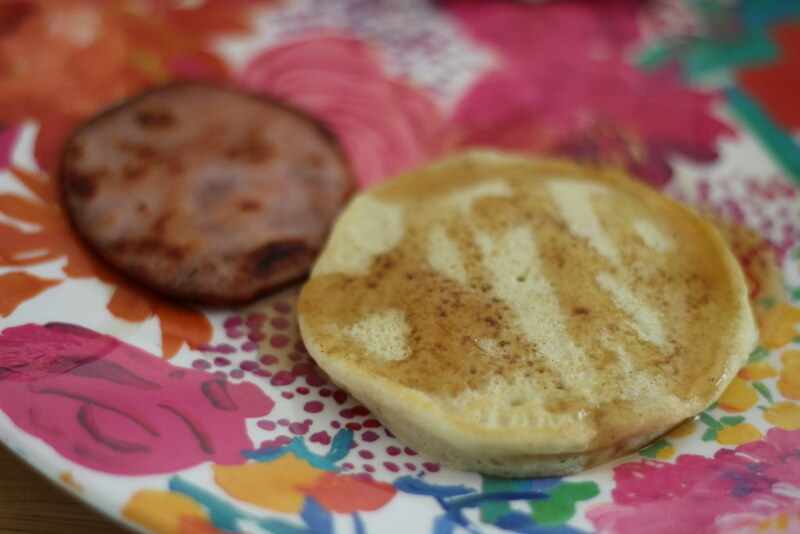 Luke had golf lessons early in the morning, so when he got home we made a slightly later than normal breakfast of pancakes with maple syrup (of course), and Canadian bacon. 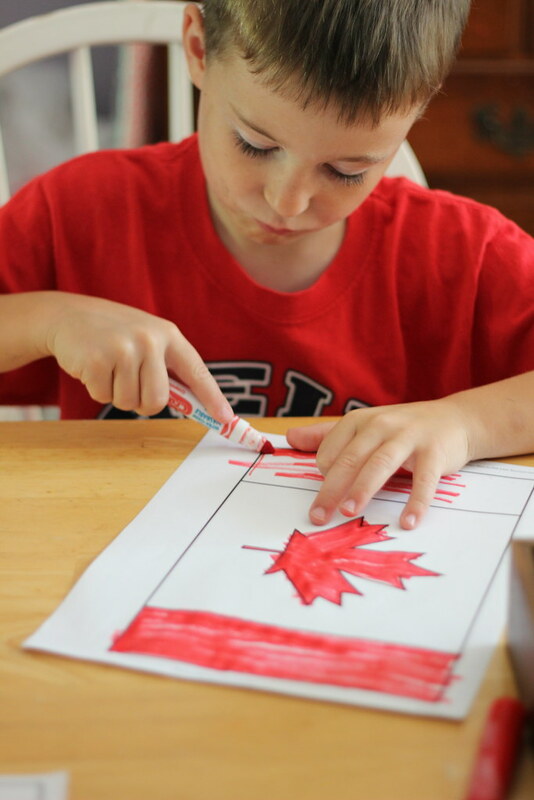 After breakfast, we watched a couple of Youtube videos on TV - the Canadian national anthem, and a cute video with facts about Cananda made by an elementary school teacher. The boys really liked it! Fun fact: we already know the Canadian national anthem by heart. I didn't realize that was not totally normal for a US citizen until we lived in Charlotte. We live so close to the border that it's played at all of our sporting events! 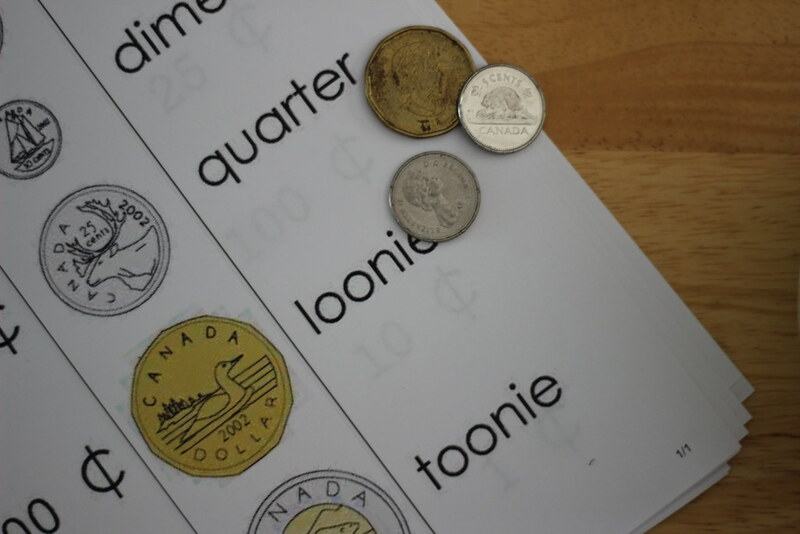 After the videos, we did a really quick Canadian money study (I had a few coins on hand - most Buffalonians do! 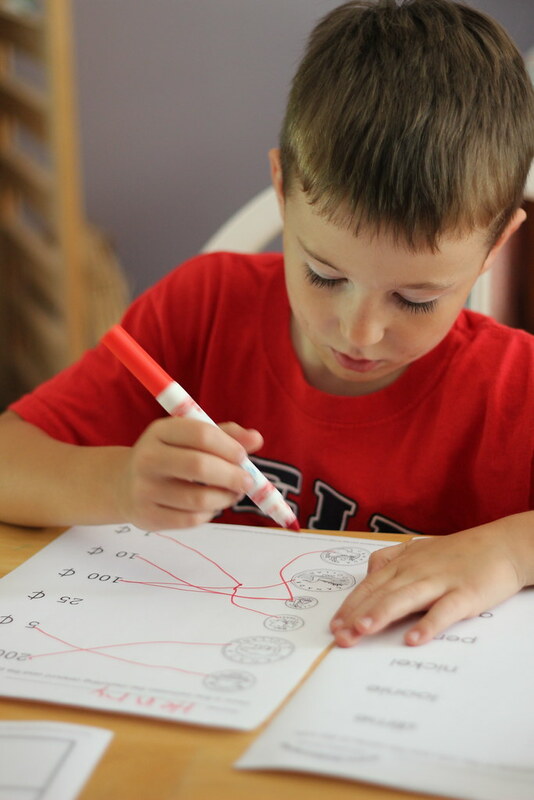 ), and the kids did some worksheets based on the coins. 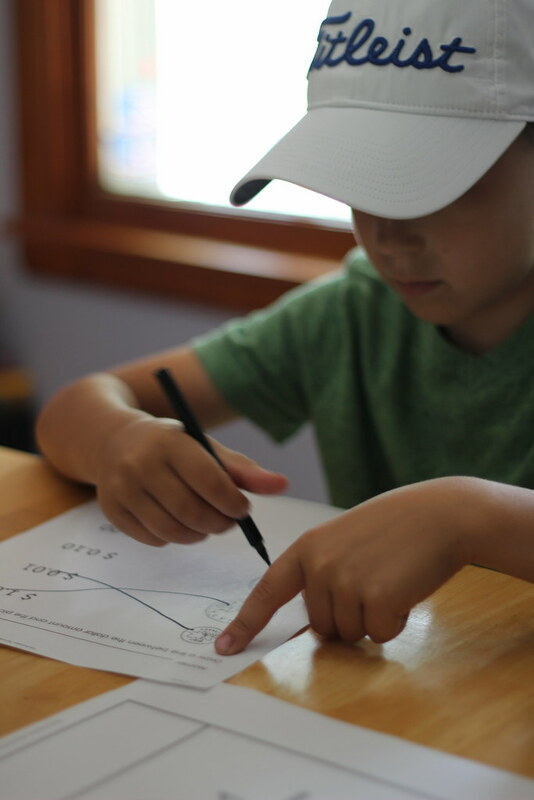 It was almost like they missed doing worksheets!! Henry kept asking for more. 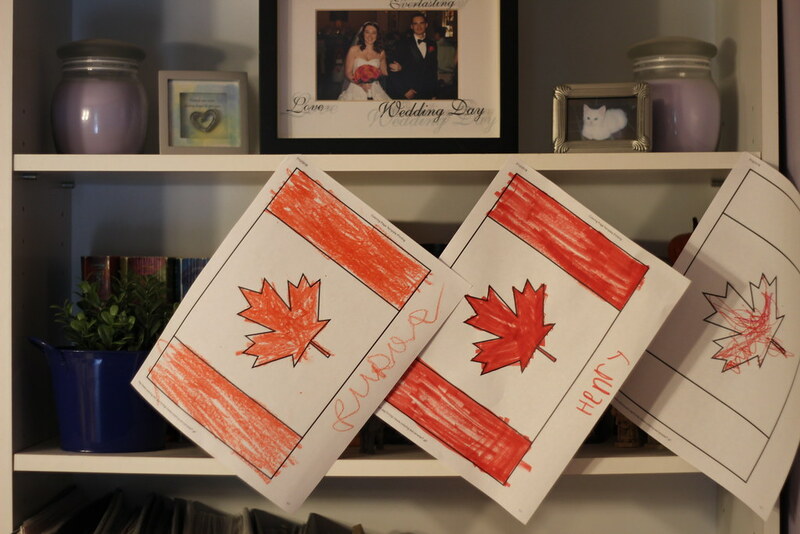 Next, we colored some Canadian flags and hung them up to decorate for our day. 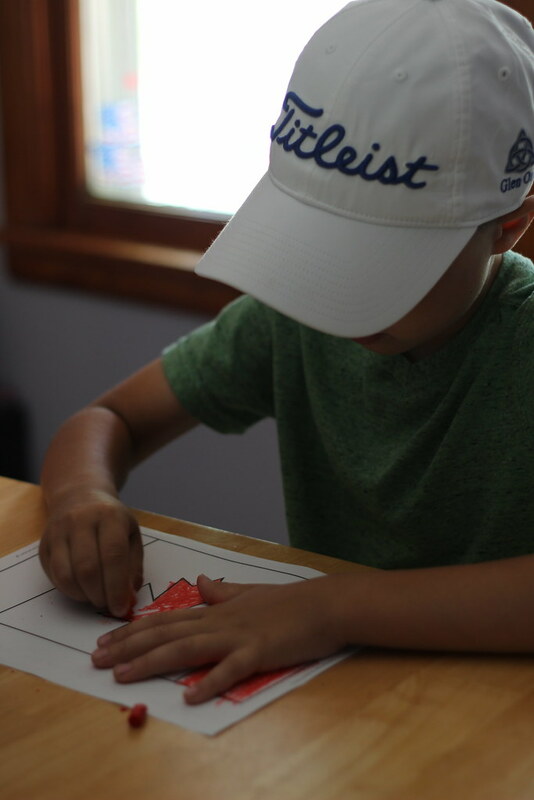 I didn't have to give them any instruction - they know the Canadian flag as well as they know our own! We played a quick game of "guess the slang" before going outside for a while (I had never heard of a Chesterfield or an Eavestrough before! ), and then came back in to make lunch. 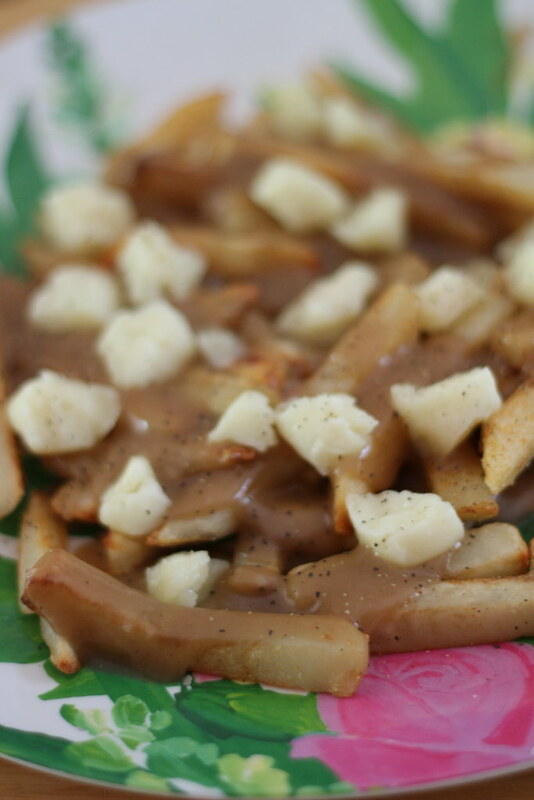 Which was none other than our very favorite: poutine! I know this is like, the least healthy thing everrrr and I had to break my non-dairy code for it, but it was WORTH IT!! I gave us all free time after lunch - we all need a break! Halfway into that, I passed out a treat that we associate with Cananda. I know it's actually from the UK originally, but we always had it on our Canadian vacations, and now it's available here in the states. In fact it's available a few blocks away at our closest grocery store, which is where I got these! 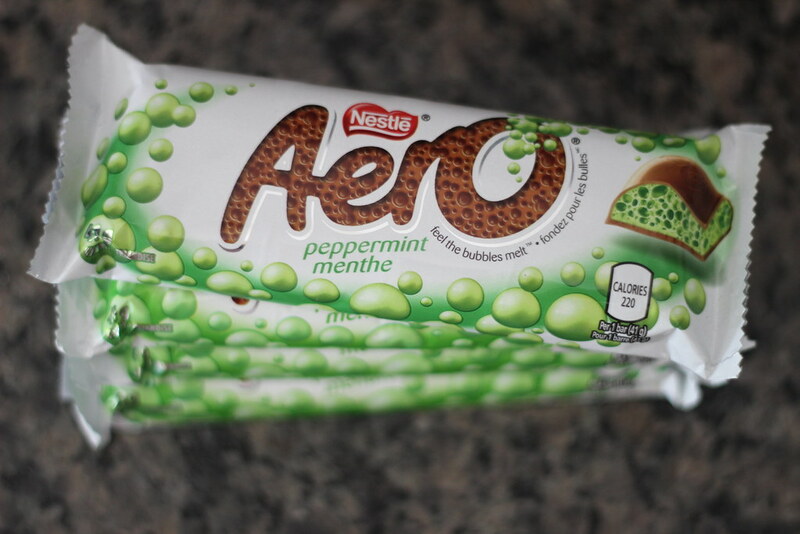 haha But Aero bars will always be a Canadian treat to us!! After free time, we read a book together that I'd gotten from the library. It was a little cheesy, and had some seriously outdated photos in it, but it had some good, easy-to-understand info in it for them all to take in. For dinner, I was super boring and took the easiest way out possible. 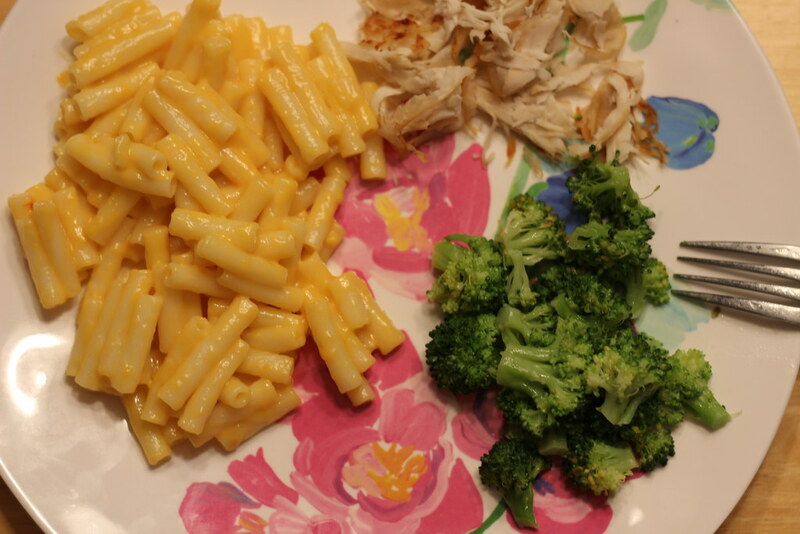 We made gluten free mac + cheese for dinner and called it "KD", or "Kraft Dinner". 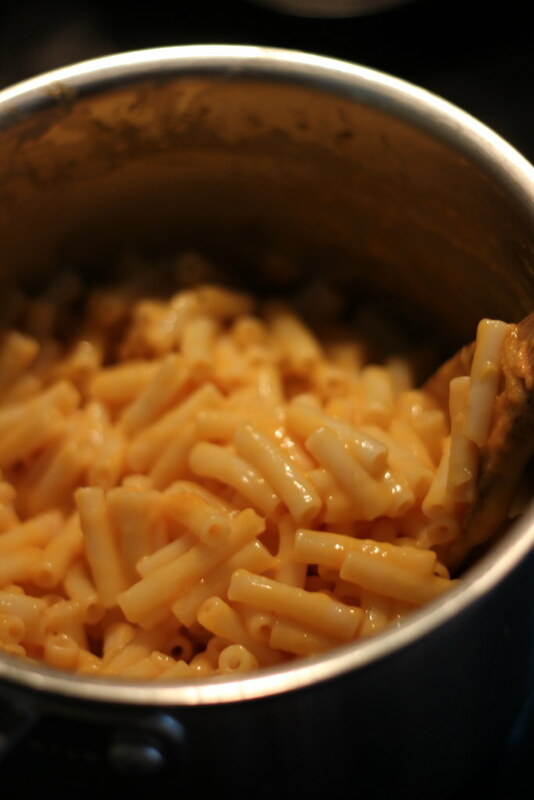 I have nooo idea why but that's why they call mac & cheese there! It's the exact same stuff with a differently designed box. We saw it there earlier this month when we were at the beach. I mean, I've known about this, just saying that it was seeing that differently branded box on the a shelf there that gave me the idea to go crazy simple for this one - I knew the kids would eat it!! The last part of our Canadian exploration was dessert, and for this one....I made something I'd only heard of this year! When we were at the store by the beach a few weeks ago, I saw this bakery display featuring butter tarts. I had no idea what they were, but while researching Canadian food, I learned that they are a traditional treat. 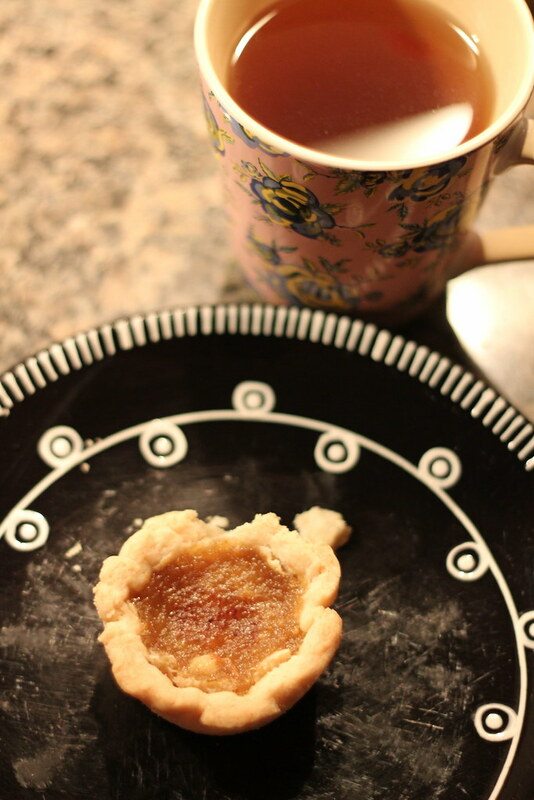 They seemed easy enough to make, so I tried it out and we had them with cups of tea while we watched TV together before bed. I can't tell you how authentic mine were, considering I pulled a recipe off Pinterest and then turned it Gluten Free, but they were pretty darn good! The whole family liked them!! And that was our super simple Canadian study day! How'd we do, Canadians? I know there are some other treats we didn't get to, but maybe another time! !